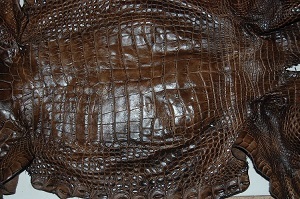 The home of handmade alligator purses/bags, gator hats, custom knives and more. 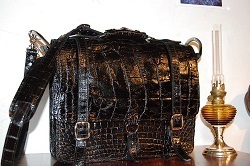 Custom designed Alligator Handbags, Alligator Wallets, Alligator Belts. One of our unique specialties is a University of Florida Ball Gators cap/hat with genuine alligator on the bill - a must for all true Gator fans! 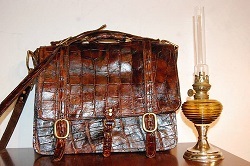 Our purse designs vary from alligator tail to a mixture of alligator leather and cow or buffalo hide – sometimes we use polished cow horn for the sides to create a very unique product. 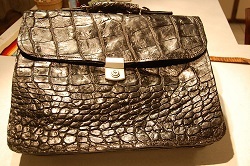 Each purse is custom designed with the individual user in mind. All of our handbags are conversation pieces. that is certainly a sucess statement! 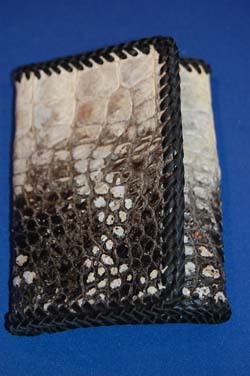 We carry a wide variety of wallet styles – bi-fold, tri-fold, biker, checkbook wallet and ladies clutches. 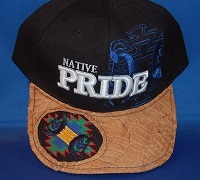 We often create custom designed products as well . 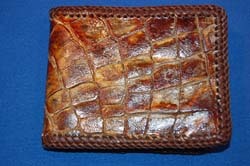 We can make wallets that are 100% alligator, wallets that are machine sewn or hand laced. 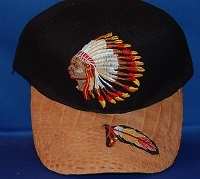 The hand lacing is done using genuine kangaroo leather flat lace. 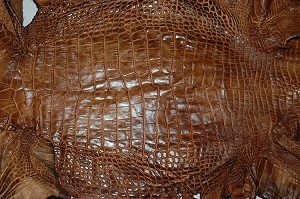 We tan most of our leather ourselves in order to achieve a very natural color, pattern and texture. 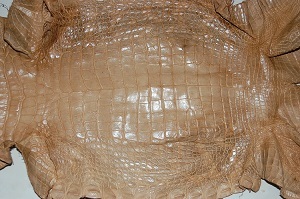 We even tan the leather from the gator’s tongue! 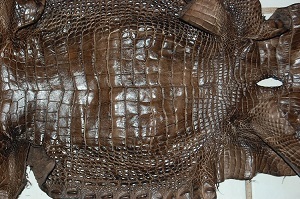 This creates a very one-of-a-kind leather that is incorporated into many of our products. Toe Whistles - Check them out ! Genuine alligator toe attached to a whistle made out of cow horn. All kids love them - young and small. Gator Tooth Necklaces - We have a variety of tooth necklaces - some of them have alligator teeth inserted into a shell casing. 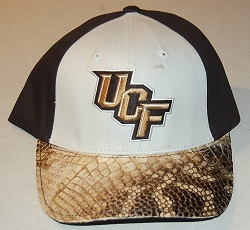 Or alligator teeth with a band of gator leather on the top. All of the necklaces come with silver chains. We have all kinds of bones for any project you can think of ! Take some time – browse through our pages – you are in for a very different experience!